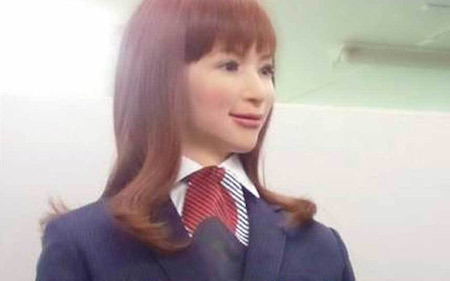 A robot hotel (billed as the "World's First") will be opening in a Japanese theme park. The minimum room rate will be a surprisingly reasonable ¥7000 (£40), which is significantly cheaper than other hotels in the park. This might be because the use of androids cuts running costs. As soon as we had landed and our baggage had been disgorged, a robocab took us to the Dosadan-GIup Robotnik. This was the local branch of a planet-wide chain of hotels that specialized in non-human service. Everything was mechanized and computerized. Human beings presumably visited them once in a while to check the gauges and empty the tills, but I had never seen one although I had used these hotels quite often, for many obvious reasons. I had occasionally seen other guests entering or leaving but we had avoided each other's gaze like plague carriers. The Robotniks were islands of privacy in a sea of staring eyes.